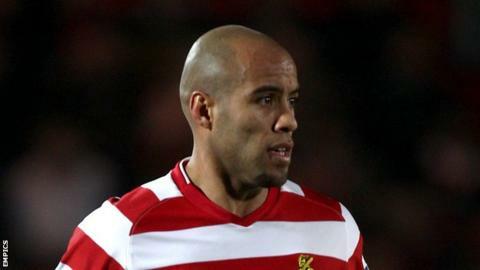 Walsall's James Chambers has spoken of his relief to be playing again after two months out with a thigh injury. Chambers, 31, joined the Saddlers this summer, but Saturday's 1-1 draw with Bury was only his fourth game for the club and his first since August. "Obviously when you want to be involved and you see the lads playing well it's frustrating," he told BBC WM. "It's just a relief and a big positive getting back out there and being involved." And despite his appearance as a first-half substitute at the weekend, defender Chambers still believes he needs game time to regain full fitness once more and help the Saddlers push higher up the table. "I think it's a natural thing as it's an ongoing thing in terms of progression with fitness," he said. "I've done a lot of work with John Whitney [Walsall physio] which has been good for me - but for me really it's the match fitness that comes from playing games." The former Watford, Leicester and Doncaster man is currently on non-contract terms at the Banks's Stadium. But he says he does not feel the added burden to impress to receive more permanent contract. "I've worked with the coaching staff before so they know what I'm about, and obviously with my brother here as well, they know what I can do," Chambers added. "Obviously everyone's under pressure to perform but I don't feel any added pressure."